The best time to plant Pleiospilos is in late spring and summer. One of the most important things when sowing seeds are to give to them, air, light, and a warm temperature. If you are going to sow in another season, you should create an artificial environment with a heat mat and artificial lights. You can plant the seeds in a seed tray or a pot. If you choose the seed tray, be aware that the right moment to transplant the plant is when the seedlings are 10 cm (3.93 ins). 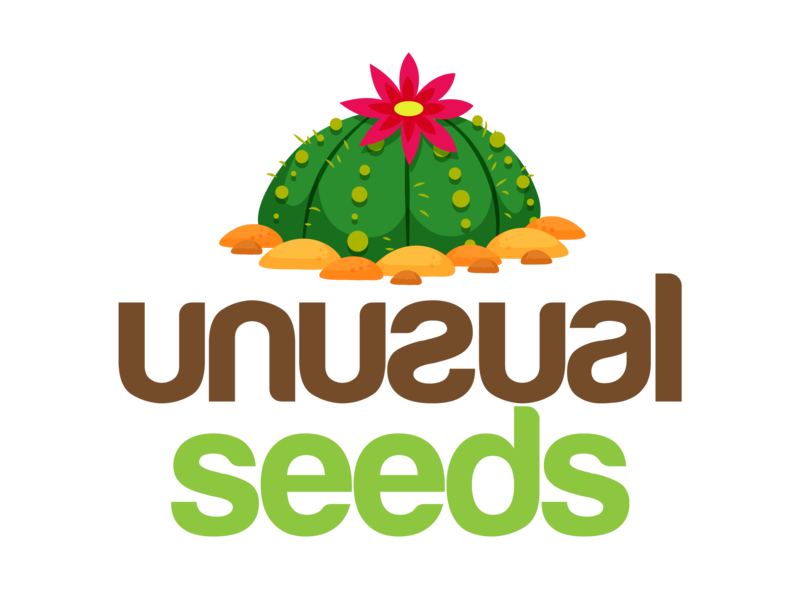 By the way, these plants grow very slow so, it is recommendable to plant the seeds directly in pots if you do not want to wait too much. The Pleiospilos plants have long tap roots so, the adequate longitude of the container should be 10 cm (3.93 in). As any other succulent, the soil for a Pleiospilos plant must have good drainage, and it must be a combination between cactus mix and pumice (preferably), however, if you can’t find pumice the other option is to use a complete mineral mix. Fill the pot with the substrate, moist the soil with a spray, and in a softly way spread the seeds, it is not necessary to bury them, only sprinkle. Add an additional layer of pumice (approximately 1 cm/ 0,39 in) over the seeds. Proceed to cover the pot with a glass sheet, a white paper, or a plastic bag. Place the pot in a light shadow during this phase that generally has a duration of seven days. When the seedlings appear, wait one more week and start to expose them to the sun gradually. When the seedlings are accustomed to the full sun, move them from their current light shadowy place. If you chose the seed tray, once your seedlings are long enough is time to transplant to a pot. When doing note that you do not have to water them for a week after the transplant (read below to find the right moment for watering). Watering: the way your plant looks will depend on the amount of water you add it. These plants only have two leaves, and when a new year come in two new more replace the old ones, if your plant has more than two leaves that mean you are not treating the plant well, commonly more than two leaves can be due to overwatering. When it comes to creating a schedule to water the adult Pleiospilos it can be a little tricky at the beginning. During the growing time, the must be poor. In the spring and early fall, you should water them once a week. When winter arrives, and and the temperatures drop to 9º C (48,2ºF) stop watering because this is the time when the plant start splitting. In other words, only water the plant in spring and fall once a week. Do not be afraid of the watering system, these plants (adults) can go a whole year without water, and they would do it great. 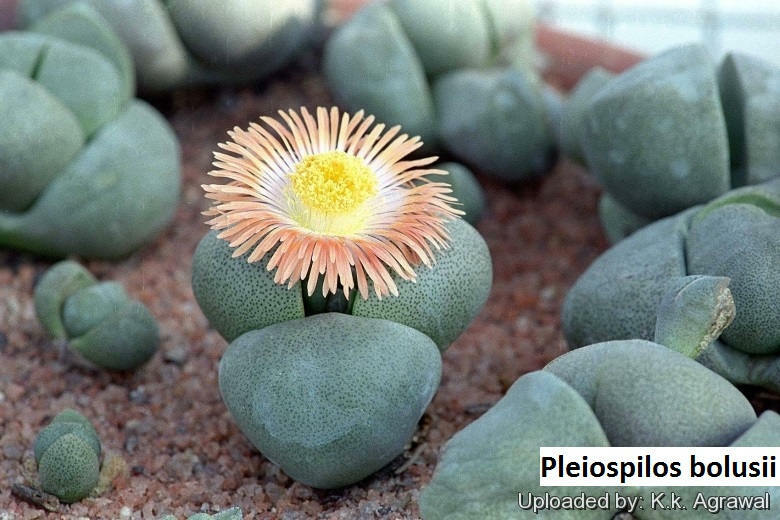 Temperature: Pleiospilos love hot climates so, the best temperature for them is above 21º C (70º F). When the rains arrive, you should keep your plant indoor to avoid the water. Propagation: you can propagate these plants through seeds and cuttings, though, it is not recommendable to do divisions in the plant because they like to bloom when they are together. Light: direct sunlight or light shadow is adequate for these plants. Pests and Diseases: due to the delicate these plants are regarding water, if they have an excess of water it will cause rotten roots, and the plant will die. Besides that, the red spider creates brown marks scars on the surface of the leaf. In this case, use horticultural oil (20 ml diluted in a liter of water).